The Dutch economy is forecast to grow 2.6% next year, but the finance minister believes Brexit and trade conflicts pose a considerable risk, according to the latest leaked budget documents. The government is due to publish its economic forecasts and 2019 spending plans on Tuesday, but much of the paperwork has already been leaked to the press. 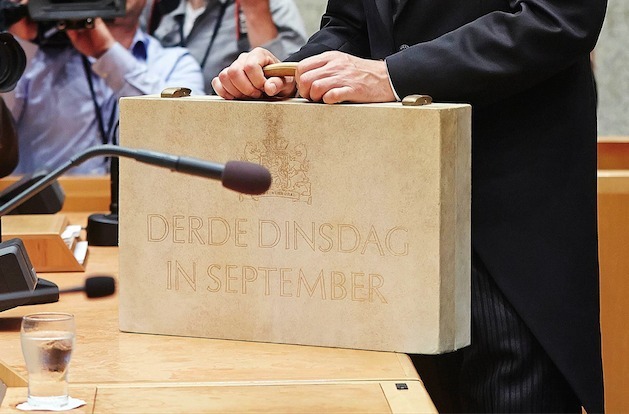 RTL Nieuws and the NRC both report that finance minister Wopke Hoekstra will tell MPs on Tuesday that ‘95% of the population will have more to spend next year’. However, Brexit and trade wars are factors to be reckoned with, RTL says Hoekstra will state in his speech on the state of the economy. In particular, the high government debt needs to be tackled, the speech states. Broadcaster NOS said on Friday that the documents show spending power will rise by an average of 1.5% next year. The AD added later that middle-income households and single people will benefit most. This is partly because income tax cuts announced in 2017 will also come into effect next year. Brexit could eventually cost the Netherlands between 1% and 2% of gross domestic product, Hoekstra is quoted as saying. Some 3% of Dutch GDP currently derives from trade with the UK. The cabinet also expects an increase in Dutch contributions to the EU budget to offset the loss of income from Britain, and has set aside €500m ‘to be prepared’. The decision to scrap the tax on dividends will cost the treasury €1.9bn and the government plans to pay for some of this by not reducing corporation taxes from 25% to 21% but to 22.25%. The decision to phase out the use of gas from the Groningen fields will cost €300 next year, mounting to €1.5bn in 2023 as the gas taps are turned off. Ministers have also agreed to extra spending on education – particularly on pre-school education and tackling the pressure of work at primary schools.